Sad day to be an Aussie! First post of 2019. What makes me mad to take time to post this blog? Well FREEDOM OF SPEECH is taking away from me in the land of the FREE in Australia. 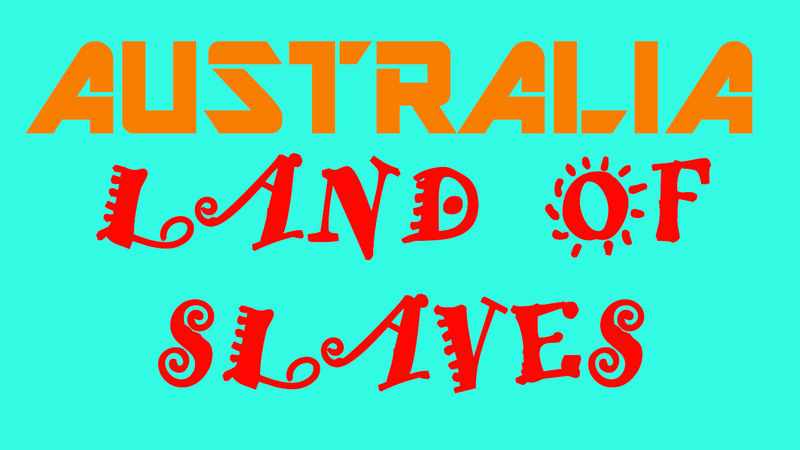 Any Aussies that love this land of our need to stand up to the tyranny of the current Australia government. They banned David Icke from entering the country because he has a different views from the government. The PM (Prime Minister) Scott Morrison which was UN-ELECTED by the way dared to stop free speech in this country. If they could do that what else could they do? My late father escaped Communist Vietnam because freedom of speech was suppressed there. Coming to the land of the FREE Australia would be better right? NOT ANY MORE. I am slaving away and just simply don't have time to post of my blog and work on my photography. We're are NOW a slave to Government, the banks and employer (our job). It's not the land of the free and lucky anymore. I am lucky enough to have seen 1/4 of Australia and not many Aussie could say that. Yes we are a slaves in our country. DO NOT VISIT Australia. Your Iphone and laptop could be seize by custom to check if you're have done any illegal activities in the disguise as "PROTECTION" from terrorism. DO YOUR HOMEWORK in your our country and see what the Government have done. Politics and religions are two subjects that normally I don't talk about, why because it's the dirtiest subject in the world. Five hours drive from Sydney and you in a total different world. That's where beautiful Tumut lies at the foot of Australia highest mountains range. There so much to explore in this area that I have to visit it again for some photography adventures. Thanks so much Jacky to let me use his balcony for this shot. I think I've got the photos that I wanted from this year Autumn. The fog photo above had added to my collections of Autumn photos which was missing. The fog and Autumn foliage, a photographer dream comes true for me. I've seen others photo of people with Autumn trees in misty fog and I really admired those photos. Now I have something for other people to admire hopefully. 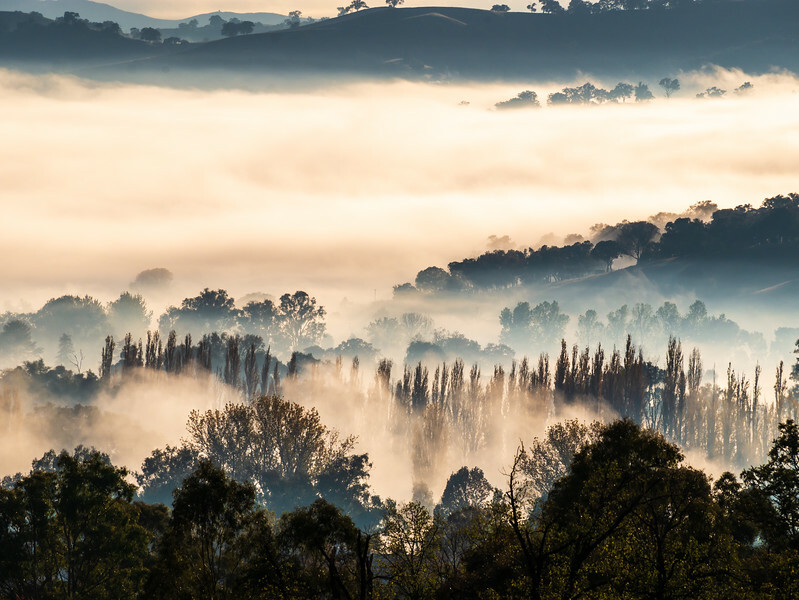 Tumut is the place to be if you want Autumn foliage and fog in your photos. Did I tell you I sleep in the car? It was freezing but the photos really make the cold worth it. Tumut has some great accommodations if you wanted some luxuries. Spend a weekend or a week there and you experience it all. Lately I have been photographing Woolwich for my collections of the places in Sydney that are now well known by tourists. Not even locals know about them for that matter. One of the best kept secret place is Woolwich just opposite Cockatoo Island. I have been to the area about three times to scout the area for some night photography. Usually I will go to the same area multiples times to get the right light or new angles. 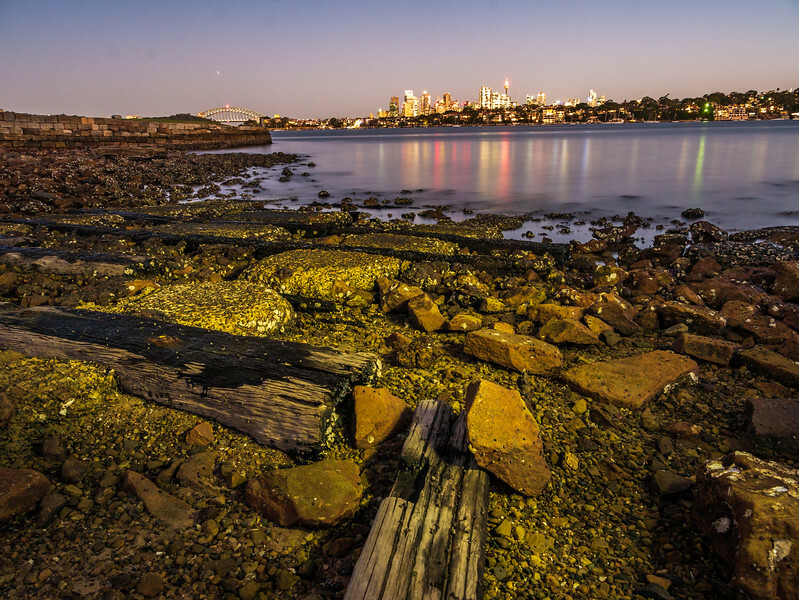 And so far this particular spot in Woolwich with the old sleeper log really gave the photos a dramatic foreground to Sydney CBD in the background. Ofcourse you can will recognized it from the Harbour Bridge on the left of photo right? How do I've found out about Woolwich? Well Sydney New Year Eve firework display is well known in around the world and the best spot that I know already taken by the media. So I was searching for a place that is not crowded and still have great view and I found Woolwich. I was wrong about it's not been crowded on Sydney NYE but the view is absolutely spectacular any day really. 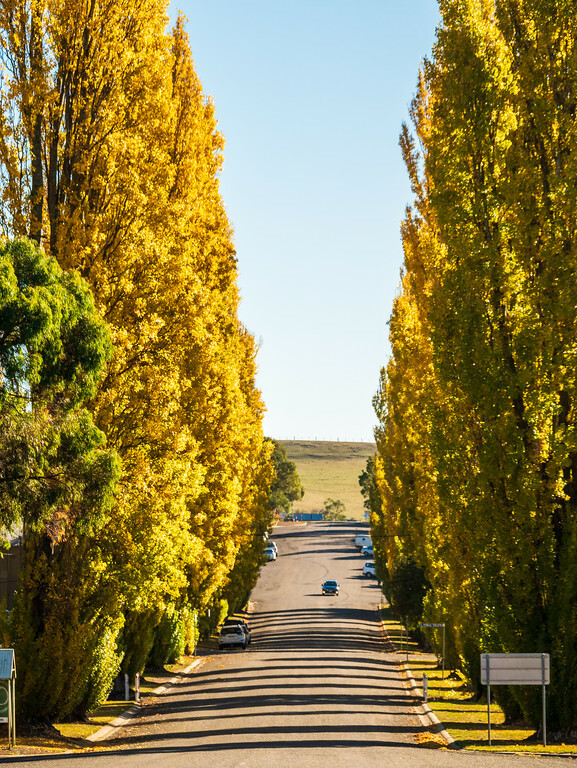 Have you heard of the town Crookwell? Not really if you're not a traveller or a sense of adventures like I am. Well Crookwell is about 2 hours drive from Sydney and it's a world apart from Sydney. A great weekend escape for city dwellers. 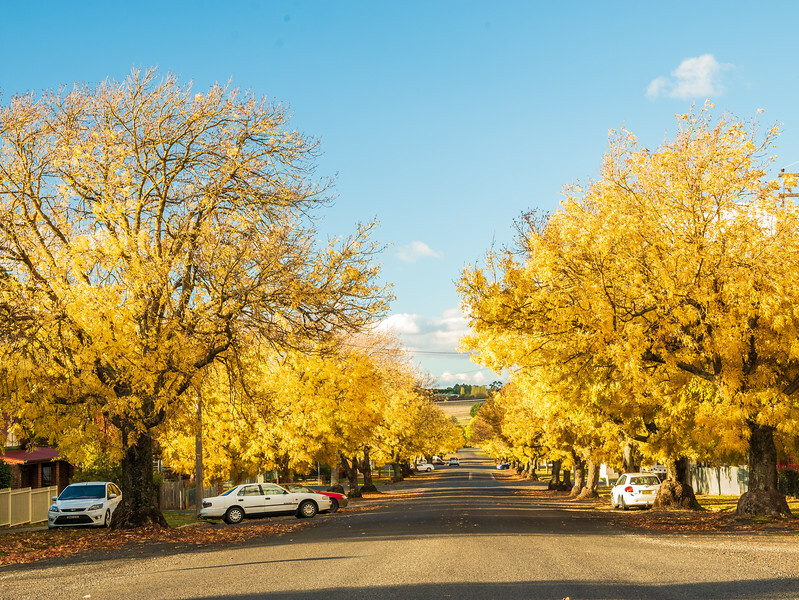 But I was not in Crookwell for a short escape, I was there for the Autumn foliage. One of the best in NSW. The photos I took doesn't do it justice, you have to see it for your self and please bring alpine clothing. It's freezing in the morning. And morning is the best time to see it all. The cars do not park in the way of the tree or some of them anyway. Too lazy to Photoshop the cars and the power lines away from the photos. If I am going to print it out myself, I'll probably pick out the best one and do more work to it but I just want to share the town and my joy of photographing Autumn again. I have missed it for the past 2 years due to travelling up North. You don't get Autumn in sunny Queensland unfortunately. There's good and bad to everything isn't it? If you try to escape the Winter months then head to warmer weather. Fortunately for me I could do it for two years in a row and somewhat miss the Autumn and Winter in my home state of NSW. I'm doing a lot of photo catching up since I'm back in Sydney. I haven't been taking much sunset photos when I'm in Sydney. 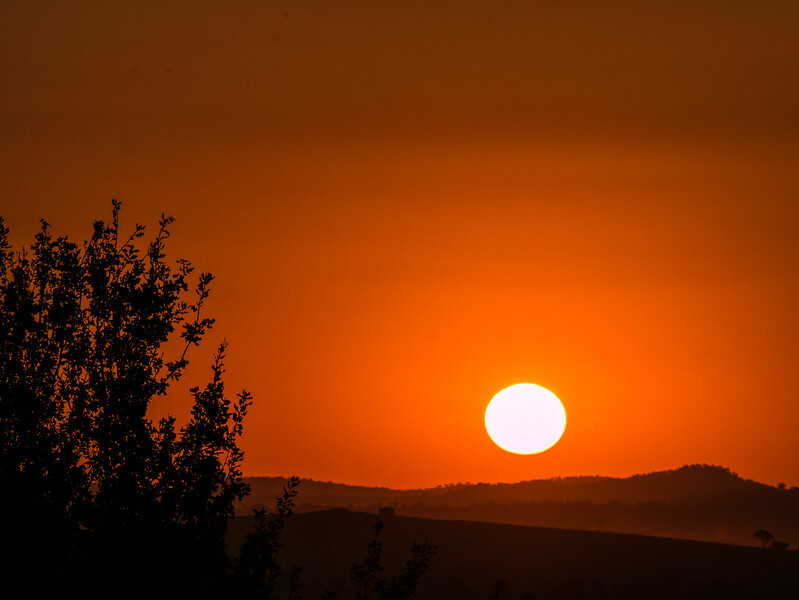 When you out on a photography trip sunset and sunrise are your main photo opportunities. So on this trip to Canowindra for the balloons challenge I was not going to miss the sunset or sunrise.